Many colleges have large applicant pools. But some schools have enough applicants to fill a football stadium, making the admissions process feel as stressful as trying to win a homecoming game. 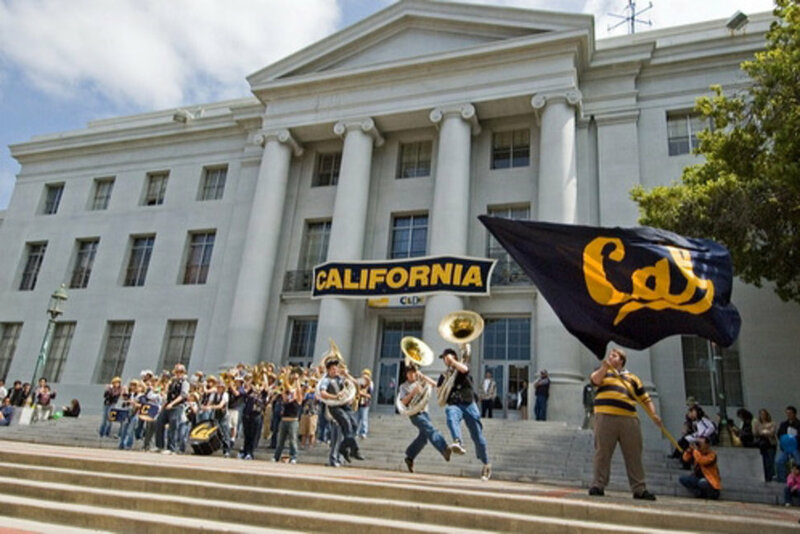 The University of California—Los Angeles, for example, received 97,121 applications for fall 2016. It had the most applications among 1,257 ranked institutions that submitted these data to U.S. News in an annual survey. The university accepted 18 percent of applicants for fall 2016. UCLA and the University of California—Berkeley, tied at No. 21 among National Universities, are the highest ranked schools among the 10 institutions with the most applications. National Universities offer a wide range of bachelor's, master's and doctoral degree programs. California had eight public schools on the list with the most applications – more than any other state. 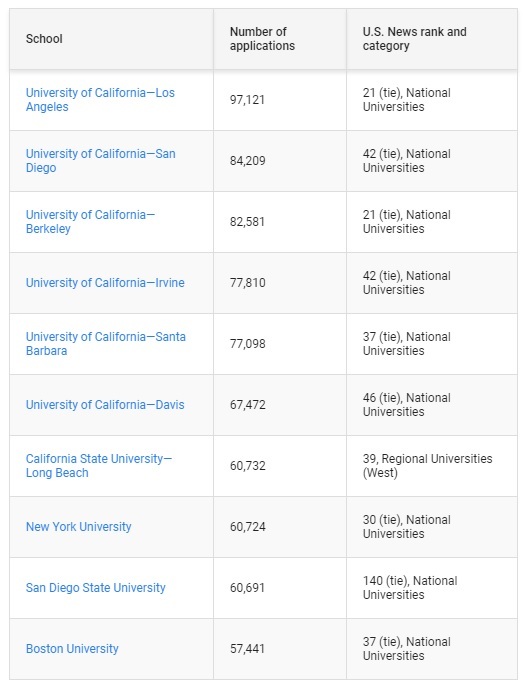 Only one Regional University made the list: California State University—Long Beach. Regional Universities offer a range of undergraduate programs, some master's programs and few doctoral programs. Among the 10 schools with the most applications, the average number of applications was 72,588. The average among all schools that submitted these data to U.S. News was 7,835. Below are the 10 schools with the highest number of applications for fall 2016. Unranked schools, which did not meet certain criteria required by U.S. News to be numerically ranked, were not considered for this report. Source : US News "10 Colleges with the most application"